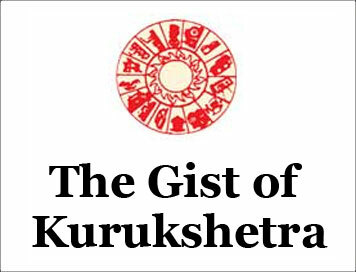 (The Gist of Kurukshetra) RENEWABLE ENERGY ADOPTION FOR RURAL AREAS [DECEMBER-2018] | IAS EXAM PORTAL - India's Largest Community for UPSC Exam Aspirants. A village is defined “electrified”, at least 10% of the households and public places such as schools and health centres are connected and receive electricity from the grid, through the transformers established in the village. This would still leave 90% of people living in these villages ”unelectrified. Total electrification can be a reality only when all households and hamlets are connected. Homes without electricity are spread across major states such as Madhya Pradesh, Rajasthan, Bihar, Assam, Odisha, and Jharkhand each having nearly 6 million unconnected households. According to Debajit Palit, Associate Director at the Energy and Resources Institute, 14.6 million households in the giant north Indian state of Uttar pradesh lack access to electricity. The government did embark on an ambitious $2.5 billion program named “Saubhagya”, in order to provide power connections to every household by the end of march 2019. While the process of electrification involves 3 steps, the first being the extension of infrastructure to the village, followed by connecting the household, the last and most critical and challenging part would e to ensure the supply of reliable and affordable energy that is sustainable. Decentralized renewable energy in the form of mini-grids and rooftop solar are a crucial part of the solutions where the grid can’t reach or serve in a reliable manner . It is here that+ disturbed renewables have a crucial role to play, for energy to be universally accessible. It is known fact that Indians relies on coal, to meet 605 of its electricity demands. With stagnation in the production of coal, it would be an uphill task for the government to provide uninterrupted power to its citizens. Thermal power also has potentially harmful effects on the environment. Burning biomass for cooking and other purposes are rampant in villages, adding to the pollution while cutting down precious resources that act as a valuable carbon sink as well. Energy is a critical factor and foundation for economic growth and social progress. With increasing pollution of the biosphere due to the burning of fossil fuels and cutting of forests, development of renewable energy has become a major societal challenge. Renewable energy, with its renewability and non-polluting property, promises to grow to be an effective and practical choice guaranteeing the future development of the world. Renewable energy commonly refers to those energies that do not pollute the environment and could be recycled naturally. International experts have categorised renewable energy as traditional and new. The former referring to giant hydropower and biomass burnt directly, while the latter refers to small hydropower, geothermal energy, wind energy, biomass energy, solar energy, ocean energy, etc. While hydroelectricity refers to potential and kinetic energy of water being converted into electricity in hydroelectric plants, Geothermal energy is available as heat emitted from within the earth’s crust, usually in the form of hot water or steam. It is used either for electricity generation, heat production for sale to third parties or directly as heat in its production.Solar photovoltaic is solar radiation exploited for generation of electricity using photovoltaic cell. In Tide/wave/Ocean, the mechanical energy derived from tidal movement, wave motion or ocean current are exploited for generation of electricity generation. India, has substantial renewable energy sources, including a large landmass that receives among the highest solar irradiation in the world, a long coastline and high wind velocities that provide many opportunities for both land-based and offshore wind farms , significant annual production of biomass, and numerous river and waterways that have potential for hydropowers (NREL, 2010). The Ministry of New and Renewable Energy (MNRE) is promoting multifaceted biomass gasifier based power plants for producing electricity using locally available biomass resource such as wood chips, rice husk, arhr stalks, cotton stalks and other agro residues in rural areas. Increasing the share of renewables in the energy mix is high on the policy agenda in countries around the world. Several governments have set highly ambitious targets and have started to implement support schemes aimed at facilitating implementation. The degree of success of these policies varies between countries (Wustenhagenetal.,2007). The issue of adoption and factors that determine adoption rate, of renewable energy, needs to understood and addressed if it is to be implemented successfully (Wustenhagenetal.,2007; hrayshat, 2007). The investment in this form of energy is considered risky, requiring too much time before the capital invested is recovered and starts yielding returns. Recent research indicates that successfully implemented renewable energy projects are usually managed by crop-op ventures rather than profit motive driven corporations (Subbaro and Lloyd, 2011). Co-ops are autonomous associations of people united voluntarily, in order to satisfy their mutual economic, social, and cultural needs and aspirations through jointly owned and consensually controlled enterprise (ICA,1995). The system of voluntary and open membership and the considerable co-determination rights for members ,makes co-ops compatible with the societal expectations of multi-dimensional sustainability goals with regard to projects of renewable energy (Yildiz, 2014). Viardot (2013) deliberates upon a number of possible constraints to RE adoption and tries to address hoe RE co-ops cam minimize them. RE systems. It was found that communication was an important initiatives taken by RE co-ops to decrease the barriers to RE adoption. In rural India, the solutions for rapid economic development can come in the form of rural cooperatives. Rural India requires institutions that are helpful in creating confidence, organizing people are utilizing their resources effectively. From this point of view, rural cooperatives have a vital role to play. Co-ops canmake bulk purchases of RE equipment to get volume discounts, which can be passed onto its members, lowering the price of RE. What’s more, co-ops develop projects on local sites, responding to the constraint of location and variability of RE. Local projects contribute to increasing the social nacking of RE. Furthermore, RE co-ops are heated by a democratically elected management representing the interests of the community-based social marketing initiatives that are creating he promotional factors required for a secure investment environment. A recent study from Bihar suggests that a critical determinant of electricity access in rural India is proximity to the Central power grid. Grossbardorf, a village in Germany runs a successful microgrid rural cooperative model that generates four times the electricity needed to power individual business and homes of the community. Excess power is fed back to the main electricity needed to power individual business and homes of the main electricity grid through a feed-in tariff system, and the revenue generated is shared equally among the various stakeholders. While Germany is well-known for its proactive collective renewable energy initiatives, a good number of success stories are emerging from different parts of India. A biomass-based rural cooperative in Tumkur district of Karnataka markets and decentralized environmental governance. The biomass is derived through tree-based farming, which provides employment to 30 households. One of the reasons why the cooperative model of enterprise has been effective is that it responds to the increasing demand for democratically at the community level, and often by end users, thus empowering people and promoting equal participation. The growth of energy cooperatives, particularly in the renewable energy sector, suggests that cooperatives are increasingly being chosen by people around the world to respond to their needs. However, renewable energy-based rural cooperative model across India would require high levels of initial seed capital. Banks, governments and international agencies such as the United Nations may not help in achieving scale of financing required. So, it is imperative that private players such as big industrial houses and high net-worth philanthropic individuals take the lead in establishing rural energy cooperatives. The Need of the hour is a private-cooperative partnership.